A massive dark-skinned man who wielded an equally massive mace. A former miner, Pippin lent his strength to the old Band of the Hawk. He was often associated with Rickert, who he seemed to share a big-brother relationship with. 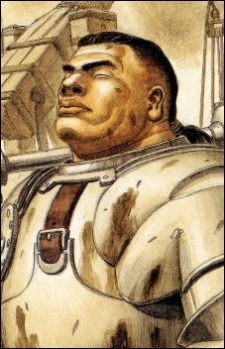 A man of few words to the end, he died during the Eclipse when he saved Casca from an Apostle.